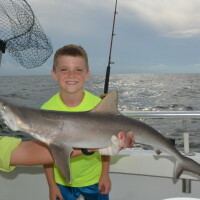 Bull Redfish and King Mackerel bite is on during this last week of October. 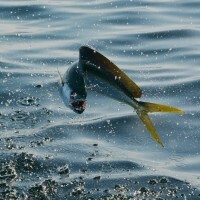 The full moon is up and the fish are biting mostly between 8 and 11 am each morning. 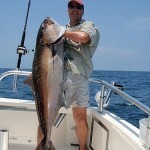 The trolling fish like King Mackerel are about to move offshore, but as long as the bait holds up, they should be around. 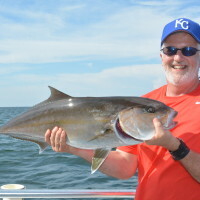 The bullreds showed up a few weeks ago, but they have mostly been located a little further west. The cold front that pushed through on the 26th, stirred their appetite. 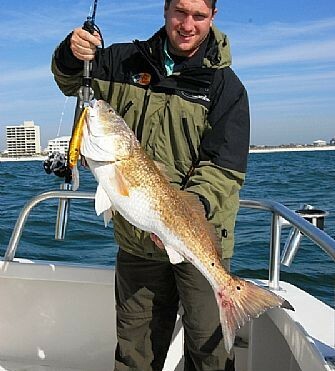 If you are planning on coming down and fishing during the month of November and around Thanksgiving Holiday in Orange Beach or Gulf Shores, you need to book a fishing trip so you can enjoy one of the most popular activities in our area.